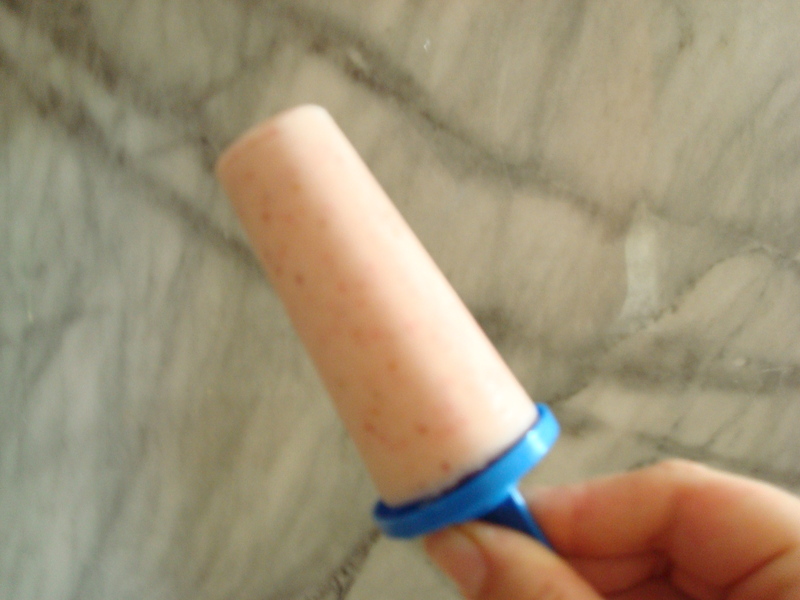 Popsicle | EASY AS PIE! I’d like to believe that summer’s not quite over even though we’ve had some cooler weather recently. So, its still the perfect time to enjoy some popsicles! My mind is already racing with other flavor combinations, but this time I went with strawberry & banana since it is a duo that’s always sure to please. Combine all ingredients in a blender. Add more almond milk to reach a smooth consistency if needed – you want it more runny than a milkshake but still somewhat thick. Pour into Popsicle molds and place in the freezer for at least 6 hours. Orange Creamsicle – orange juice, vanilla Greek yogurt, coconut milk, vanilla extract, and honey or agave nectar. I can’t wait to make these and other creations! Let me know if you try them or if you have any other favorite flavors.